The ACT: Prep Guide, 2016 – 2017 is a simplified version. If you are a student preparing for the ACT, the essential information provided in this book will help you score higher on test day. The contents are presented in simple but concise language, so you can understand easily. In addition, some sample test questions and their corresponding correct answers and explanations are included. This will allow you to develop better comprehension of the ACT in the 5 specific sections: Mathematics, Science, English, Reading and Writing. Significant pointers are also given that will help you obtain better scores. Get the preparation you need to score high on the ACT. 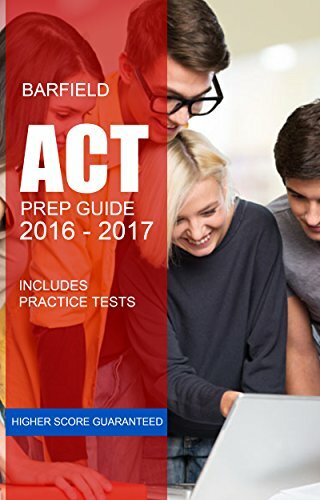 This is the Kindle version of ACT: Prep Guide, 2016 – 2017 that you can also download and read on your computer and mobile phone. Kindle books are DRM protected and therefore, unlike ebooks that are in PDF or ePUB format, you cannot read this ebook without the official Kindle apps.